I love this (Knock off, judging by the misspelling of the film's title) piece from Mexico, so much so that I put it in my book Rack Toys. Funny thing is, I have no idea what it's for, I assume it's for an action figure but I have no clue. L'il help SW fans? Got it! I found this, by entering these 3 things, "star wars" "bootleg toy" card, [onto- Google image]. Your card looks like the peg card for a [toy line] of bootleg, star wars, 3 3/4 inch...I guess, action figures. The site I found, has a crudely made, black-suited, Darth Vader fig., on a white card, a white card like yours. The pic I found is from an article, by Zack Zagranis, on December 21, 2015. SORRY. Warning- some bad words/the F word, are on that site. The art is straight from marvel comic's official adaptation! I felt jipped when I was a kid when I got the comic, the art was really crappy!! I'm sorry to go for such low hanging fruit but it was driving me nuts that no one else said this. I found a pic of this backing card. It's from a Star Wars Vintage Mexican Bootleg Pool Table. Probably used for other stuff as well. 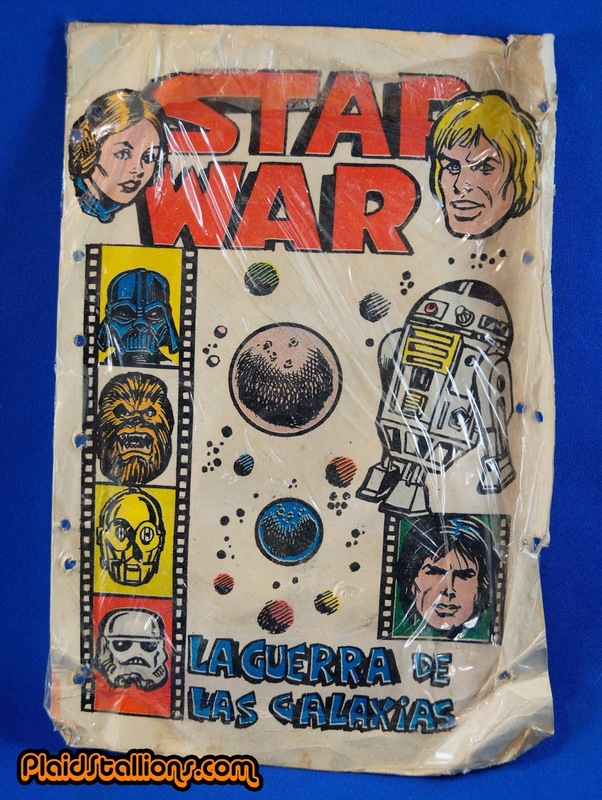 Also used to pack bootleg Kenner figures.